Description: All game schedules will be found by clicking the link below with live updates throughout the event. Due to the Mardi Gras Nocona Style! events, a special feature this year will be a suspension of all games on Saturday between noon and 2:30pm so our players and parents can attend the Big Parade. 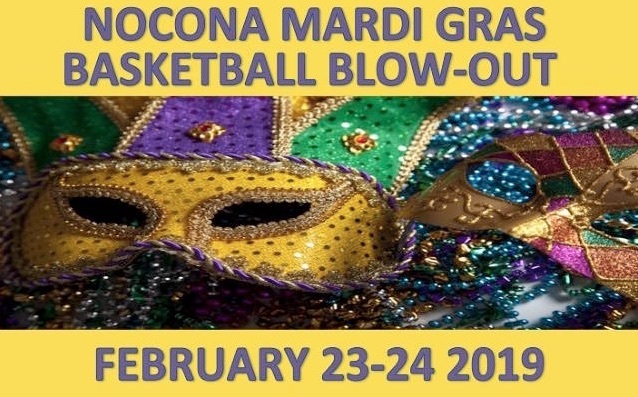 Get ready to play some basketball, catch some beads and candy, and enjoy good fun, Nocona Style!